Westie cartoon: Sunny days are hard work! I realise that it’s winter in many parts of the world, but here in New Zealand it is the height of summer! 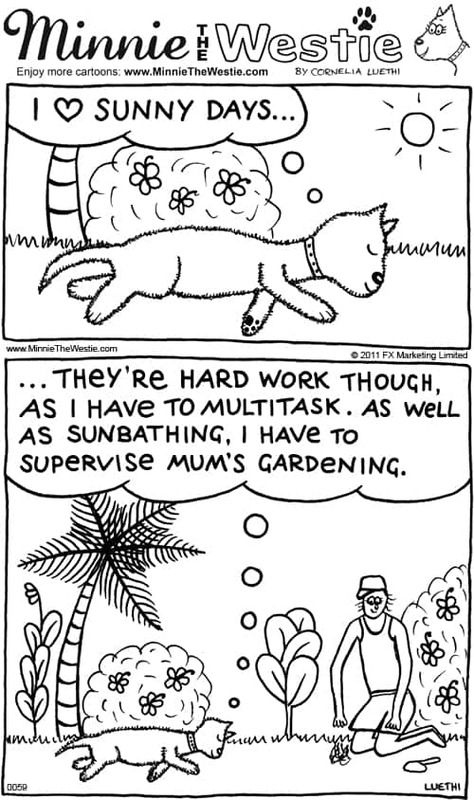 The sun is shining, the skies are blue, the hibiscus flowers are pawretty… and mum is doing some gardening. As you can see in this month’s westie cartoon, I am very helpful… flat out, in fact! BOL!